A crafter desk is always a mess…well mine is! I have like 4 pair of scissors, utility knives and uncountable pencils and sharpies. All lying around as they don’t fit in the small pencil holder I have. So it was time to get things tidy with a nice and spacious desk organizer. 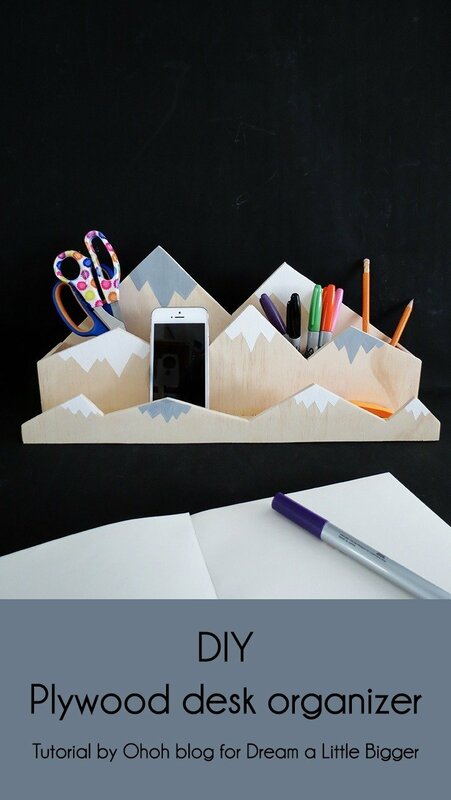 To make your cute mountains desk organizer, you will need: 5 mm plywood, wooden glue, acrylic paint, sanding paper, a jigsaw or a handsaw and clamps. 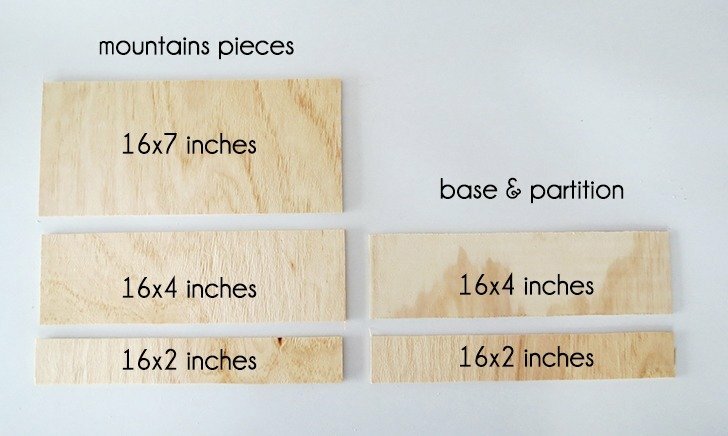 Cut 5 rectangles in the plywood following the dimensions above. The three pieces on the left will be the mountains, the other two, the base (16×4 in.) and the pencil holder partitions. 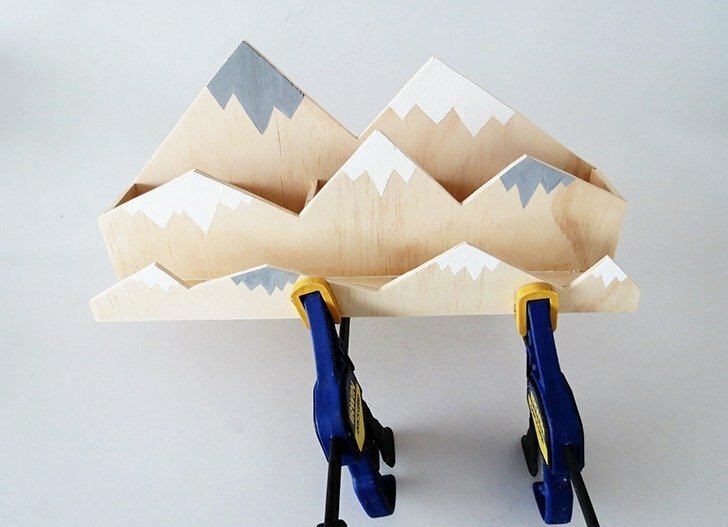 Use a pencil and a ruler to draw the mountains shapes on the plywood. 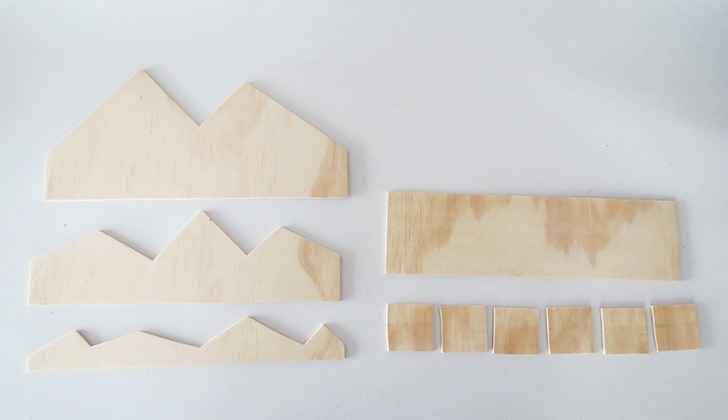 With the jigsaw, cut out the three mountain shapes. You can also do it with a handsaw, it will just take a little more time. Cut the 16 x 2 in. rectangle into 6 pieces of 2 x 2.5 in. Sand all the pieces, insist on the edges to remove splinters. 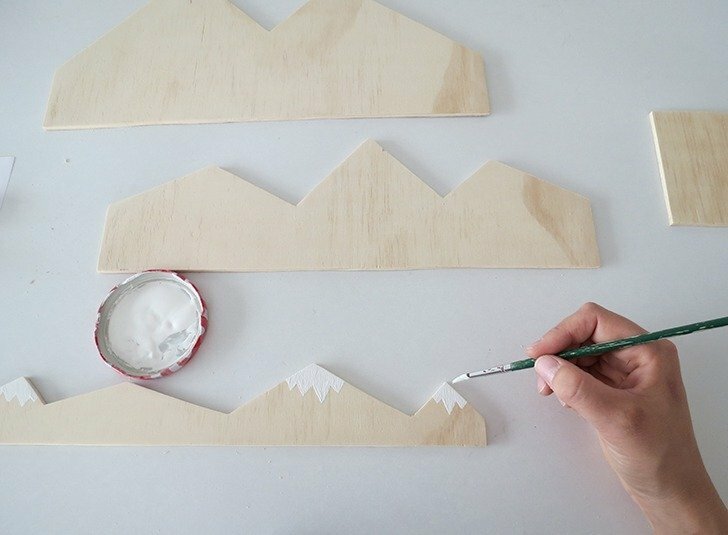 Paint some snow on the mountains tips. We use white and grey. 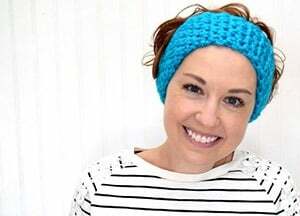 If you want to give a try with other color, a light blue can be a nice option too. 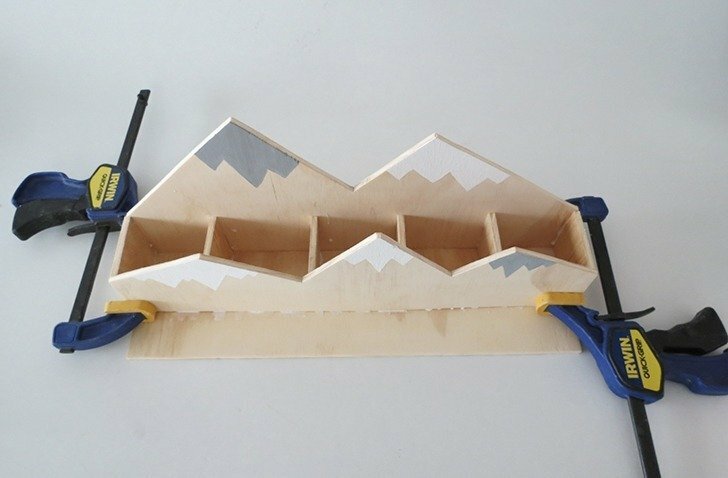 Start assembling your desk organizer, put some wooden glue on the bottom edge of the bigger mountains and glue the base (16 x 4 in. rectangle) on it. 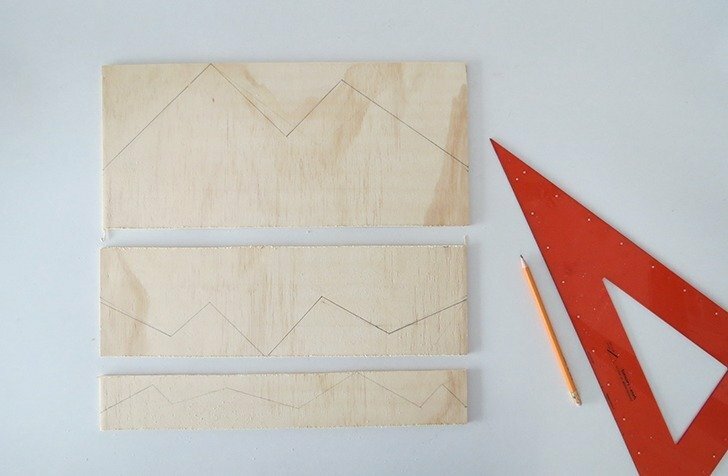 Use clamps to hold the pieces together until the glue dries. Glue the 6 vertical partitions and the medium mountains shape. 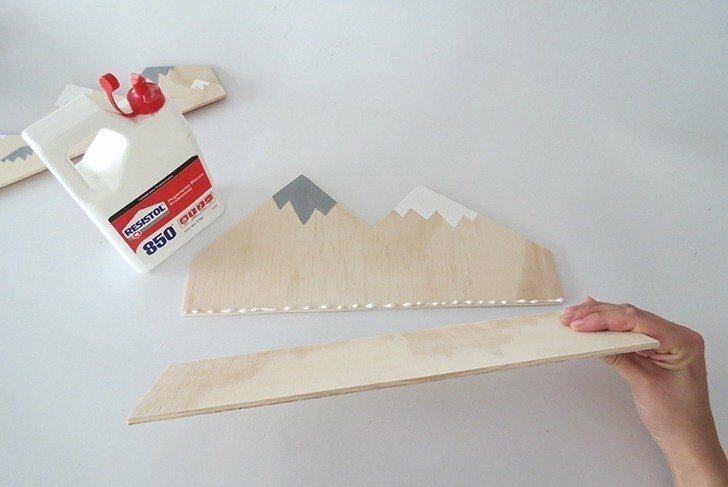 Put glue on every edge of every wood piece and hold with clamps until it dries. Almost finish, you just have to glue the last mountain shape on the front, and done! 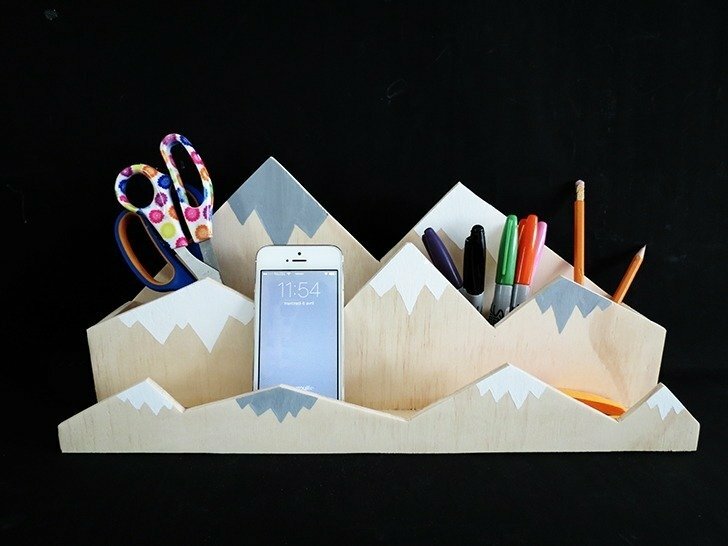 Arrange all your office and craft supplies in your new desk organizer. 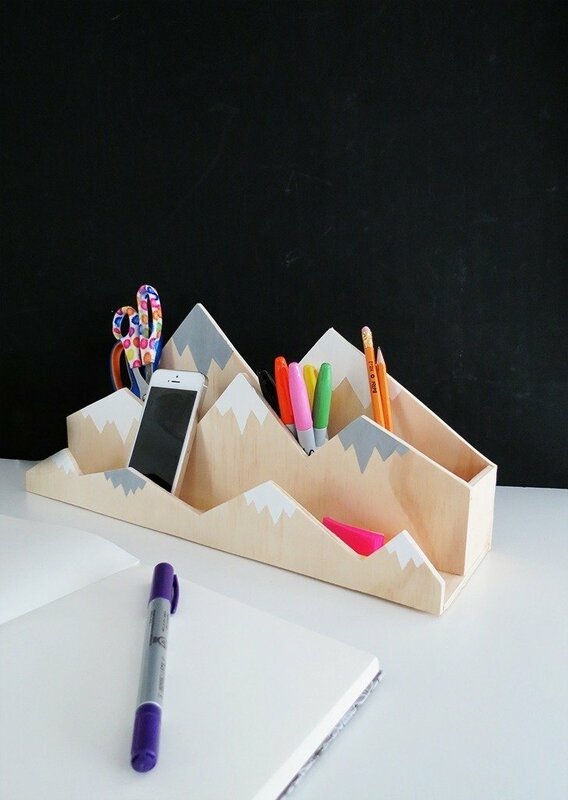 If you are not a messy crafter, and the only things you need on your desk is a pen and a pencil, you may like this minimal desk organizer.